adidas Women's Condivo 16 Training Jacket features ventilated climacool® keeps you cool and dry Side seam zip pockets. Full zip with ribbed collar; Contrast bands at elbows. Functional knit fabric with mesh inserts on back for ventilation; Elastic binding for comfort. 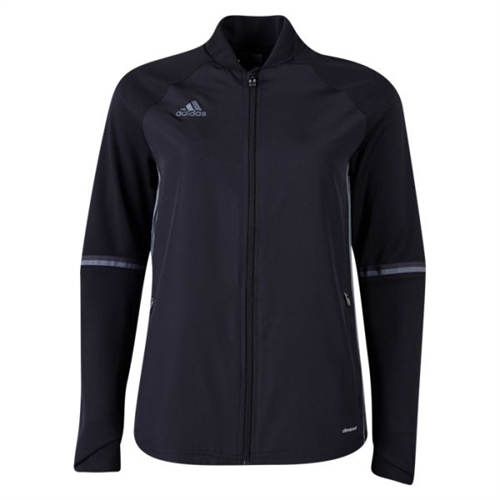 adidas Women's Condivo 16 Training Jacket keeps your warm and dry during training and warm up. The condivo jackets makes you be a step ahead of the elements.